If you want to create the ideal computer lab, you need an AV podium that allows instructors to maintain a clear view of the whole class and the computer screen at the same time. With a downview monitor display, keeping everything in sight is effortless. Let Nova's AV podiums revitalize your classes and training sessions. These AV carts create the perfect arrangement for instructors, presenters or teachers who are using a desktop computer. They are versatile and technological - perfect for any lecture hall, classroom or training room. 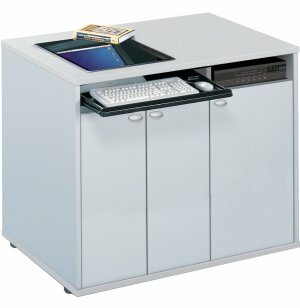 A modern professional appearance and convenient features combine to create the ideal lectern for computer users. 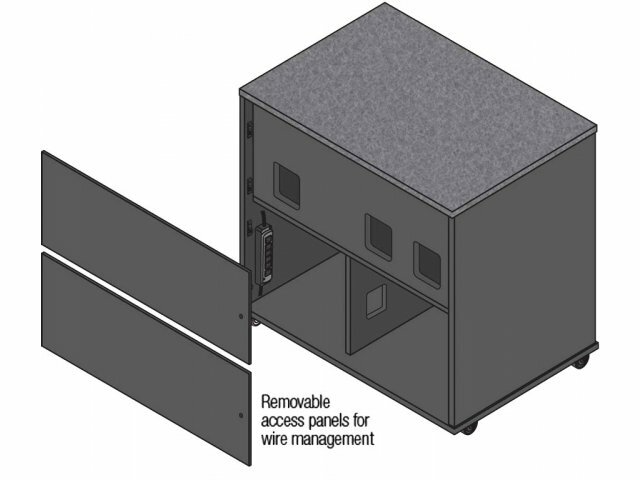 Lockable solid laminate cabinets store equipment securely while a six outlet powerstrip and exclusive iMod wire-management compartment keep all of your cables plugged in out of sight. 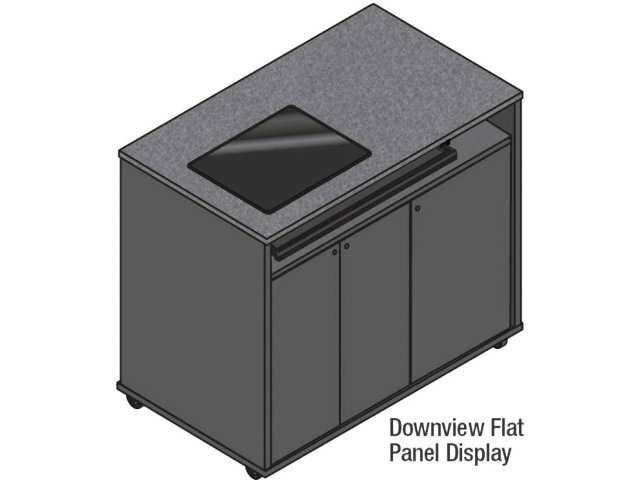 With an adjustable height, and heavy duty casters, Nova AV Podiums can fit any speaker or space. 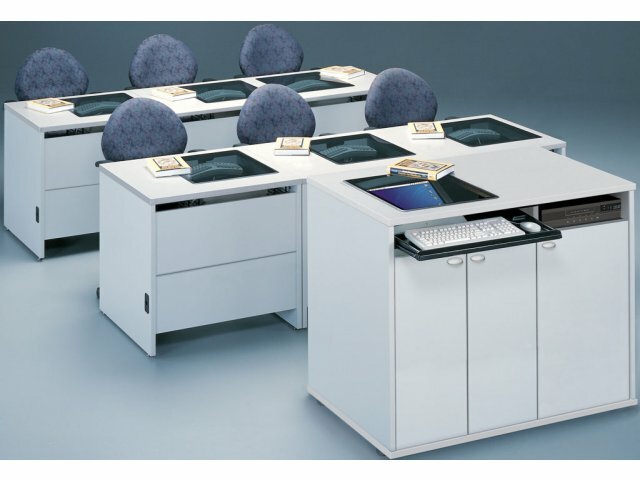 NOVA Solutions has been providing quality furniture solutions for educational and corporate environments since 1988. 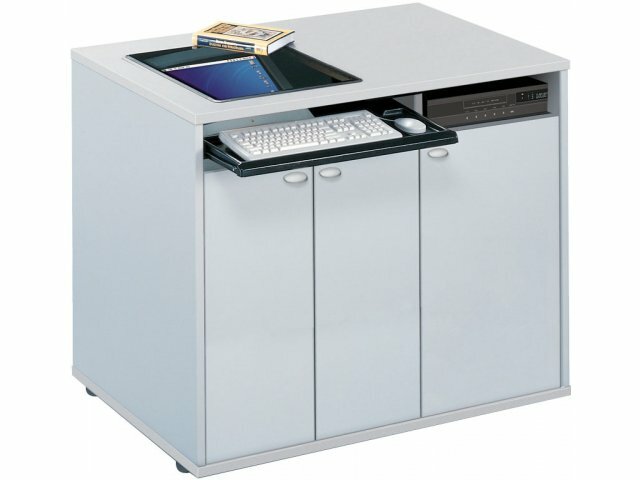 Their downview flat-screen computer desks feature the unique combination of innovative design and practical setup that are a trademark of all NOVA office solutions. Unobstructed View: With the monitor off of the surface, teachers and students can maintain eye contact. Screen Protection: Clear tempered glass on the desktop keeps the monitor in view while protecting against damage and theft. Fits widescreen displays up to 20 1/8"W x 14 1/2"H (with base removed). Healthy Design: The downview display keeps the monitor at an ergonomically-beneficial, -35° angle, the same angle at which which books are read. Sleek Appearance: Thermofused laminate tops and bases in a selection of hues, with flat PVC edge banding will look great anywhere. Clean Look: All cabling is hidden in an easily-accessible space so the surfaces and surrounding area remain tidy. Ergonomic: Includes a pullout keyboard tray for easy access to comfortable typing. 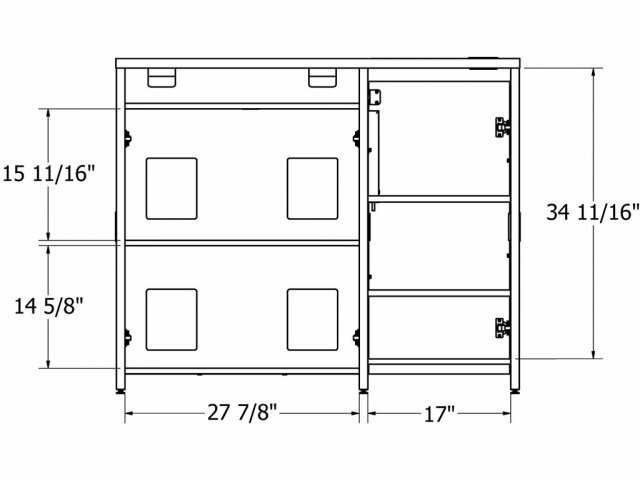 Secure Storage: The lockable modesty panel and cabinets ensure that all wiring and accessories stay put. Mobile: This AV cart rolls smoothly from place to place on heavy duty casters. Multipurpose: Perfect for use in a classroom, computer lab, auditorium, lecture hall, convention center and more.